VANCOUVER — NOTE: This story has been updated to correct the city Deputy DeRosier was taken to from Kalama to Kelso. We regret the error. 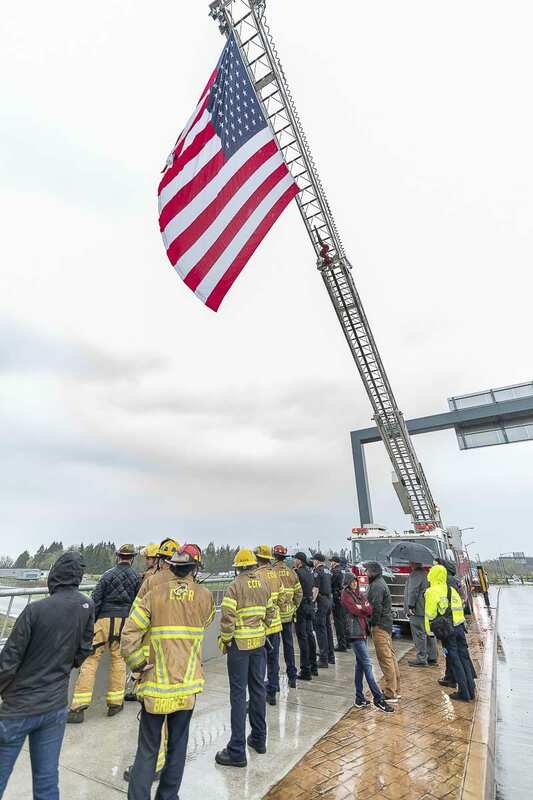 Law enforcement from across Southwest Washington gathered Monday afternoon to accompany the body of fallen Cowlitz County Deputy Justin DeRosier from Vancouver to Kelso, where he will be laid to rest. 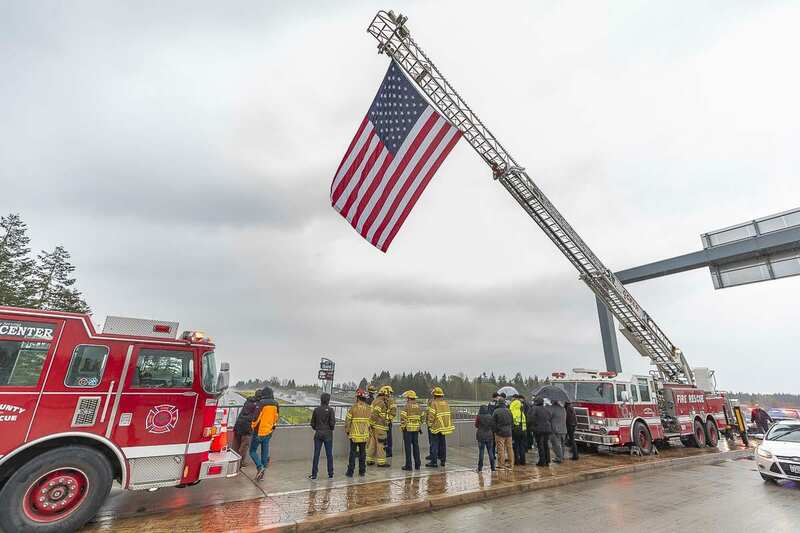 Hundreds of people, including police and fire agencies from Clark County, lined freeway overpasses along I-5 to show their respect and support for DeRosier. 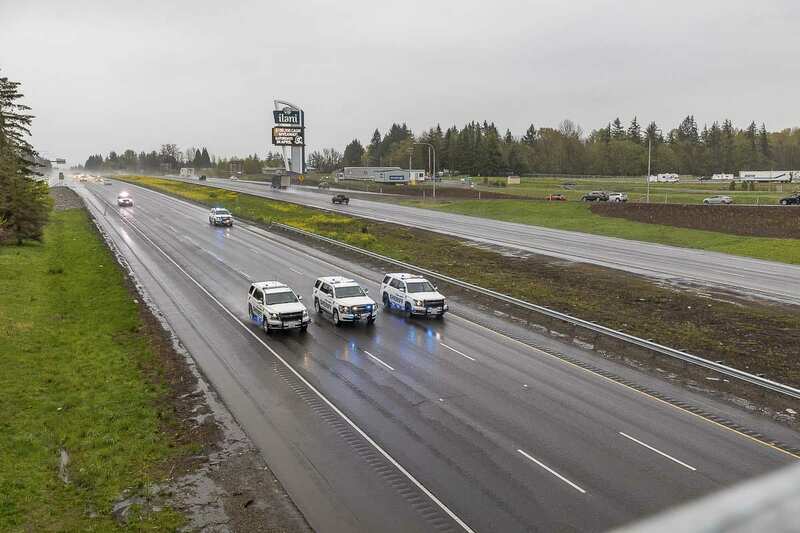 The 29-year old was rushed to PeaceHealth Southwest in Vancouver on Saturday night after he was shot while checking on a disabled vehicle on Fallert Road, northeast of Kalama. He died from his injuries shortly after arriving at the hospital. 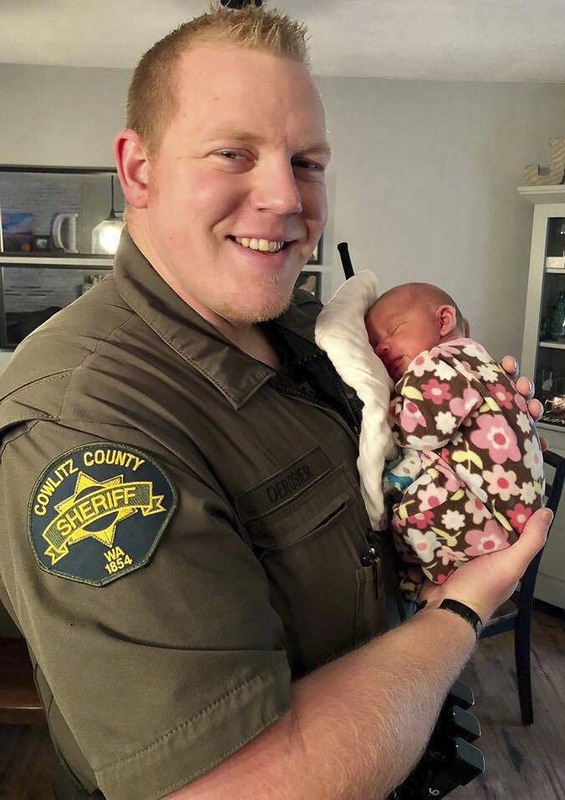 DeRosier grew up in Cowlitz County and joined the Sheriff’s office in 2016. He is believed to be the first on-duty death in the history of the department, dating back to the mid-19th century. He leaves behind a wife and 5-month old daughter. The investigation into his death is being led by the Clark County Regional Major Crimes Unit. On Sunday a standoff with the suspect in DeRosier’s shooting was shot and killed during a standoff with law enforcement. He was identified Monday as 33-year-old Brian Dellaann Butts of Longview. Butts is the half-brother of Daniel Butts, who recently pleaded guilty in the 2011 shooting of Rainier Police Chief Ralph Painter. The two share the same mother but have different fathers. In addition to being half-brothers, they are also cousins, as their fathers are brothers. The investigation into the death of Butts is being led by the Vancouver Police Department.